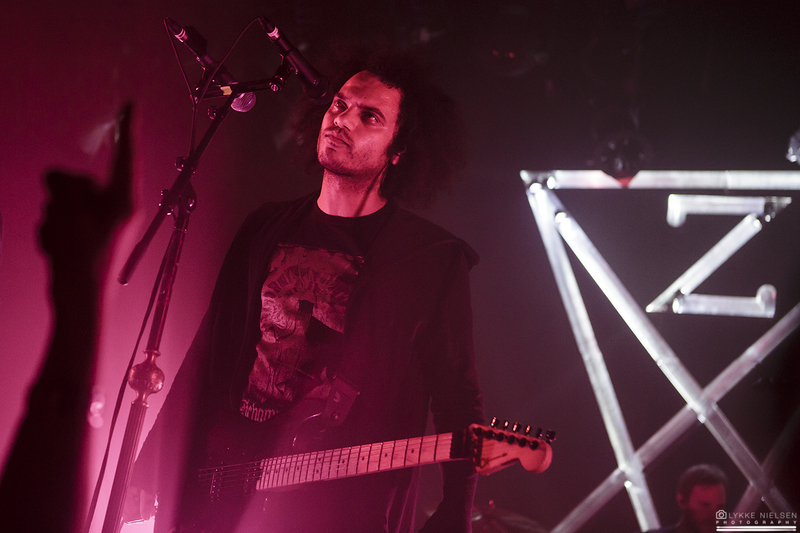 There can be little doubt that Zeal & Ardor’s performance at last summer’s Copenhell festival made quite an impression on the Danish metal community. 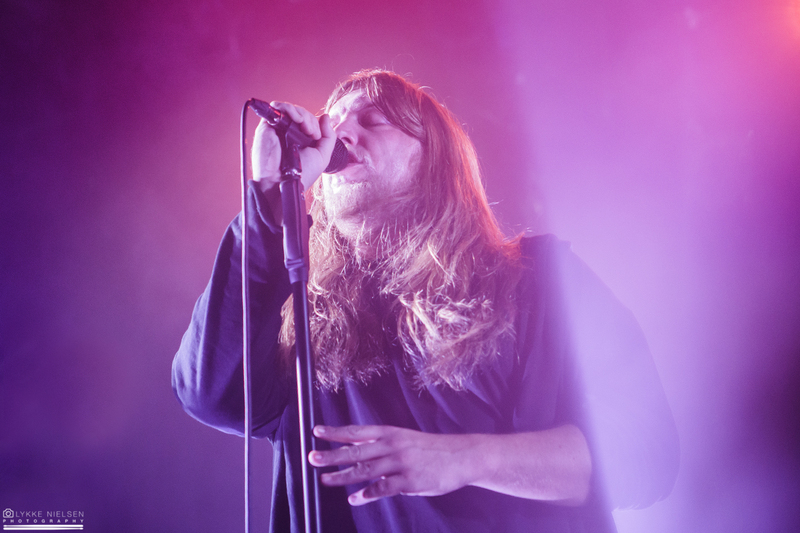 The band’s first-ever headlining show in Denmark was sold out weeks in advance — this despite the fact that they really only made their breakthrough this past summer on the basis of their third full-length offering: the fantastic “Stranger Fruit”. 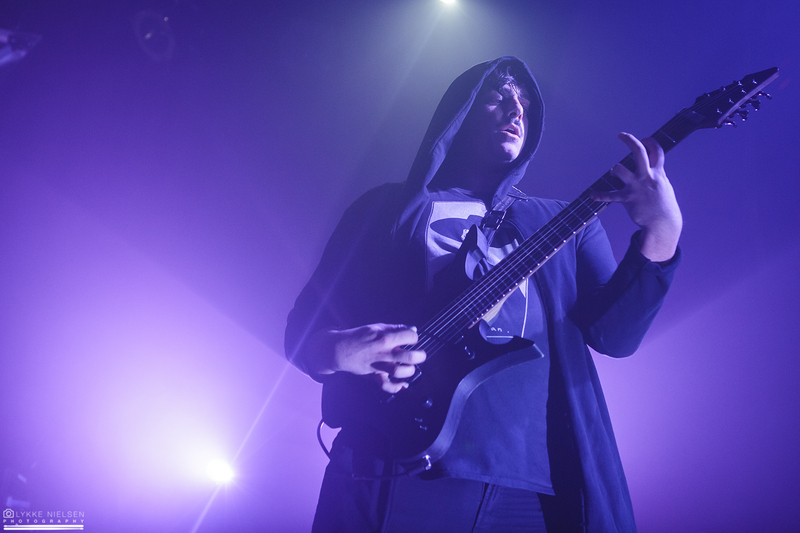 The high turnout is also good news for metal in general, proving that the traditionalists and truists are fighting a losing battle against the artists who wish to innovate on, and keep pushing the genre in new and exciting directions, and Zeal & Ardor certainly do that with their avantgarde blend of post-black metal, blues and spirituals. It is therefore only right that the opening act should offer something a little different as well, and in this respect, the Finnish duo NYOS seems like the perfect choice. Despite the limited personnel, the band is able to generate plenty of noise, both by virtue of synthesised bass and the utilisation of looping techniques by guitarist Tom Brooke. 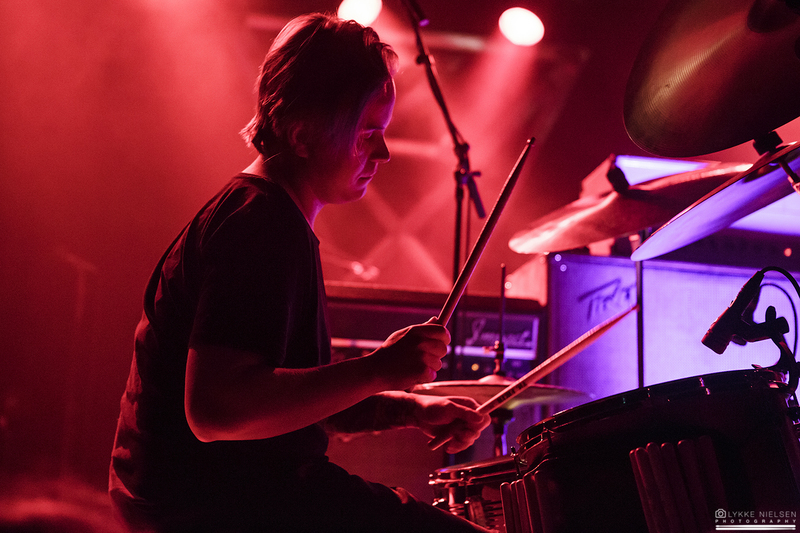 Although some of their creations are perhaps a bit too experimental for my liking, when Brooke and his cohort (drummer Tuomas Kainulainen) do hit their stride, the result is phenomenal. Reminiscent of Ufomammut, these passages generally conform to a pattern of repetitive drumming, monotonously droning bass, and swathes of noisy and effect-laden psychedelic melodies — although there is also a cinematic post-rock segment similar to Nordic Giants near the end of the set that invites my fancy as well. If the Jyväskylä-based outfit thus reined in some of their wilder impulses and focused more of their energy on the moments that make them stand out rather than those that merely leave their audience looking perplexed, NYOS could transform into one of the most intriguing prospects in the currently burgeoning psychedelic rock and metal scene in Finland. The duo already has the wooing showmanship needed to make an impression on their travels abroad, with Brooke in particular spending the entire duration of the concert madly rocking out — that is, when is not busy kneeling before his enormous pedalboard, twisting and turning various knobs to give the produce from his six strings its spaced out feel. Now, if they nail their strengths, the music will start making the same kind of impression, too. Having been somewhat hindered by the wind at Copenhell this past summer, it is gratifying to find the sound mix tonight well-balanced, and with a higher amount of volume deservedly dedicated to the vocals of frontman Manuel Gagneaux and his two ‘backing’ singers, Denix Wagner and Marc Obrist. With all three voices penetrating the instrumentation loud and clear, the incredible dynamic between the three vocalists makes even more of an impression now, placing the interplay between Gagneux’s soulful singing and the messianic, Gregorian chanting of the latter two in its rightful position at the forefront of Zeal & Ardor’s music. Indeed, while the eruptions of blastbeat-driven, icy black metal in tracks like “Come On Down” and “Blood in the River” (the latter off 2017’s “Devil Is Fine” LP) remain as powerful and unexpected as ever, it really is the variety, ritualism and spiritual power within the vocal department that lifts Zeal & Ardor into the absolute elite of today’s forward-thinking metal artists. And when those three voices are firing on all cylinders as they are tonight, it is tempting to suggest that Zeal & Ardor might even be the best band in the world right now in general. As you can imagine then, Gagneux, Wagner and Obrist could put together a strong performance on their own. But there are of course other factors at play, too, helping to immortalise the band in Denmark’s lore of concerts. The lighting — elegantly beaming from behind the musicians — is spectacular throughout, generally sticking to purple hues in keeping with the artwork of both “Stranger Fruit” and “Devil Is Fine”, and choreographed to accentuate the most emotional and intense moments in tracks like the storming “Fire of Motion”, and the dramatic “Ship on Fire” immediately in its wake. And while Gagneux and his two colleagues remain in a fixed trident just behind the edge of the stage throughout the 80-minute concert, there is still plenty for the eye to behold in terms of Zeal & Ardor’s showmanship. When the three are singing, they are so completely lost in the moment that you could be forgiven for suspecting the involvement of a mind-altering substance like ayahuasca in their pre-show ritual. And when they are not, they readily join lead guitarist Tiziano Volante, bassist Mia Rafaela Dieu and drummer Marco von Allmen in wildly rocking out, drawing some of the most resounding cheers from the crowd I have ever witnessed at this venue in the aftermath of what is a really nasty rendition of “Don’t You Dare”, not to mention the closing track, “Baphomet” off the band’s eponymous début album from 2014. Gagneaux is a man of few words, but tonight he does make an exception in order to express his sincere gratitude for the reaction he’s getting from his audience — it’s that astounding. But it is also what a band can expect when everything comes together, both in terms of sound, light and six musicians operating at the apex of their abilities, and in terms of more abstract things like atmosphere and the way each song seems to bleed into the next regardless of its standing and age within Zeal & Ardor’s repertoire. Indeed, while the likes of “We Never Fall” and “Hold Your Head Low” are a bit rougher around the edges than the newer output à la “You Ain’t Coming Back” that surrounds them, the progress of the set never feels jagged, the transitions never not seamless. I have had plenty of transcendental concert experiences this year alone, and as all of the praise packed into these three paragraphs has probably revealed already, Zeal & Ardor’s gig this evening joins in near the top of that list, superseded only by the magisterial showing by Cult of Luna & Julie Christmas at the Roadburn Festival. A festival, where Zeal & Ardor would likely have earned equivalent acclaim in 2017, had their set not been plagued by technical problems, from what I have heard. Certainly, the creative spirit and altogether singular style of this band belongs at that iconic event, and on the basis of their masterful performance tonight, I do hope it will not be too long before this Swiss-American oddity returns both there and to Denmark.